HITE was once again awarded the honors of "Top 100 Electrical Enterprises" and "Top 10 Growth Force"! 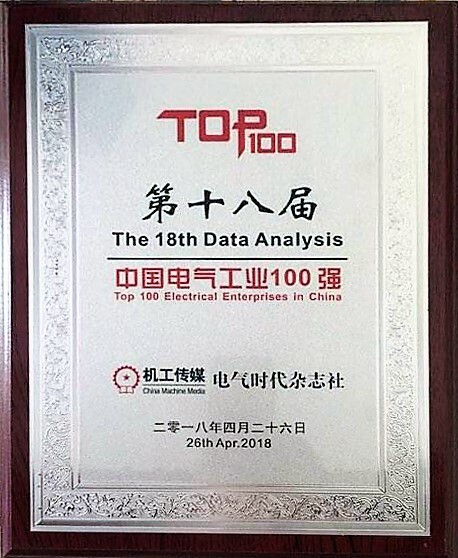 On April 26, the 14th China Electric Industry Development Summit Forum and the 18th Presentation of Research Results of Chinese Top 100 Electrical Enterprises was ceremoniously held in Beijing. As a well-known enterprise in the field of industrial automation, HITE was once again awarded 2 honors of "Top 100 Electrical Enterprises" and "Top 10 Growth Force"! With the introduction and continuous advancement of the Made in China 2025 strategy, China's electrical industry has come to a critical period of breakthrough development and leapfrog transformation and upgrading. Automation, digitalization and intelligence have become the new labels of the electrical field. HITE has built an intelligent manufacturing platform featuring dedicated products, expertise application and professional service abd "intelligent connection, intelligent acquisition, intelligent storage, intelligent computing, intelligent control and intelligent display", after years of efforts in the electrical industry. Providing the industry customers with products, solutions and services of of “high availability" and "intelligence” and forging an ecological alliance around its "intelligent manufacturing" strategy, HITE will continue to innovate and move forward under the guidance of the "intelligent manufacturing" strategy.